THE HOME RUN OF TOTS! 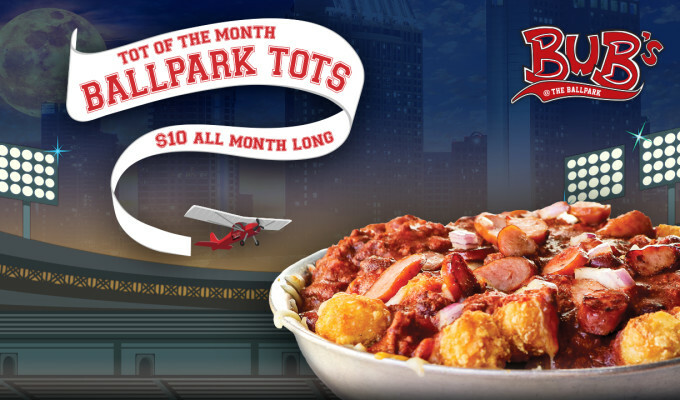 crispy tots smothered in housemade chili & cheese with grilled onions and sliced hot dogs. 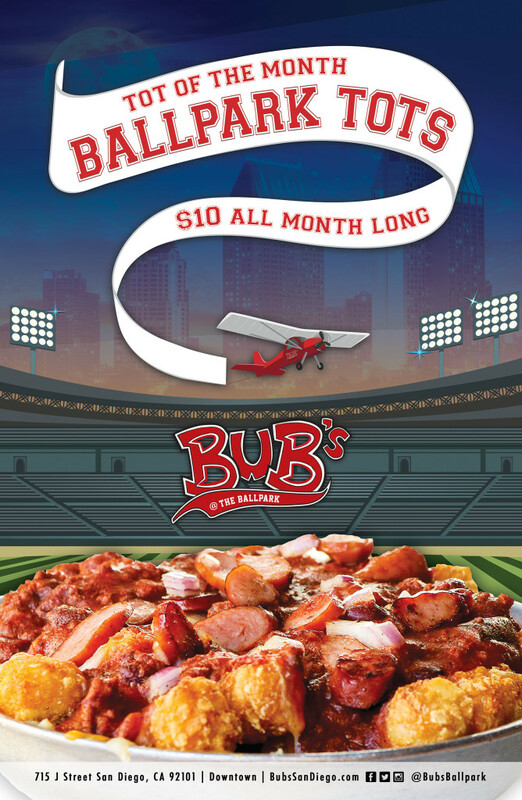 GET IT FOR ONLY $10 ALL DAY, EVERY DAY IN April!